Both JuD and FIF were placed on the watch list in January 2017. 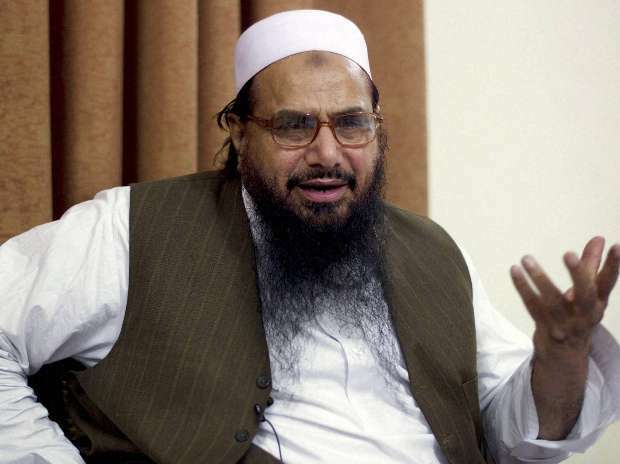 Mumbai terror attack mastermind Hafiz Saeed-led Jamaat-ud-Dawa and its wing Falah-e-Insaniat Foundation were formally paced in the list of banned organisations on Tuesday, a day after the Indian media reported that the two outfits continue to be only on the watchlist. According to Pakistan's National Counter Terrorism Authority (NCTA) list, which was updated on Tuesday, JuD and FIF were among 70 organisations proscribed by the Ministry of Interior under the Anti-Terrorism Act 1997. "This list is updated as of 05th March, 2019 and prepared by NACTA based on the Notifications issued by Ministry of Interior," said a note at the bottom of the list. The development comes a day after Indian media reported that the two organisations continue to be only in the list of groups under watch. On February 21, Pakistan government had announced that it had banned the JuD and FIF, amid intense global pressure to rein in the militant groups following the February 14 Pulwama terror attack that killed 40 CRPF jawans. However, in the NCTA list, which was earlier updated on Monday, JuD and FIF were under watch by the Ministry of Interior. The Pakistan government on Monday also put out another order saying it has frozen assets of all UN designated organisations like JuD, FIF. According to officials, JuD's network includes 300 seminaries and schools, hospitals, a publishing house and ambulance service. The two groups have about 50,000 volunteers and hundreds of other paid workers. The JuD is believed to be the front organisation for the LeT which is responsible for carrying out the Mumbai attack that killed 166 people. It had been declared as a foreign terrorist organisation by the US in June 2014. The NCTA has so far declared 70 terrorist organisations as banned and a sizeable number of these organisations are based in Balochistan, Gilgit-Baltistan and the Federally Administered Tribal Areas (FATA).